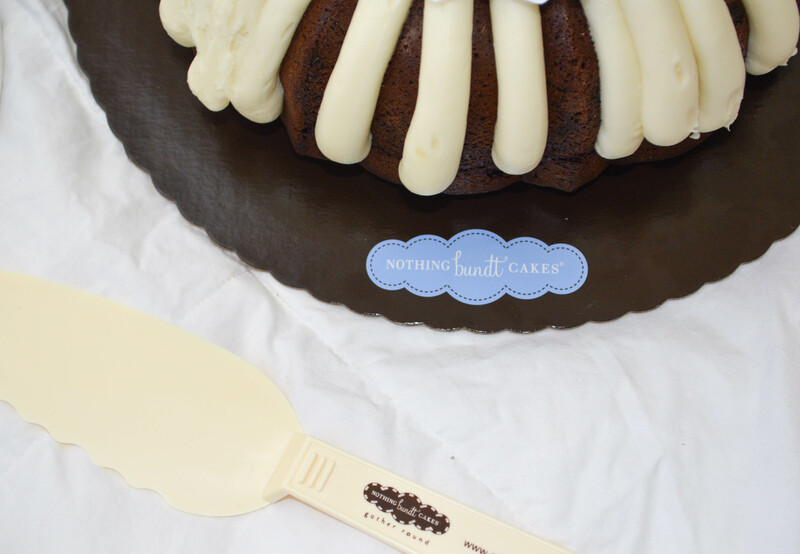 Disclaimer: This post is sponsored by Nothing Bundt Cakes. All opinions are my own. Please visit my disclaimer page for more information. Ah, birthdays. Both mine and my husband’s birthdays are in November. Paired with Thanksgiving, it makes for a busy month. I’ve hear time and time again “eventually your birthday is no longer worth celebrating” “the older you get, the less you want to celebrate” “your birthday doesn’t matter once you’re an adult” . And I’m here to say, I highly disagree. 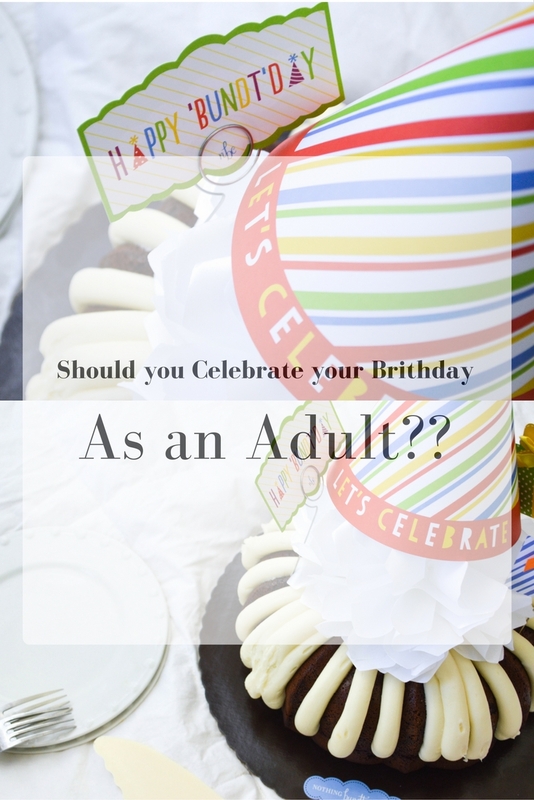 You birthday should be even more celebrated as an adult! Especially if you have children of your own. Once you have kids, your life and time are no longer your own. You either go to work every day to support them (my husband), or you stay home and tend to their every need (me). Giving your life completely over to someone else is draining. I spend my days changing diapers, making snacks, wiping noses, wiping butts, watching Paw Patrol, making crafts, doing puzzles, singing the alphabet song, and I am tired. I work really hard 364 days of the year. My kids are my life and I love them but being a mother is draining and hard. I’m exhausted all the time, I’m emotional, I’m stressed. I work from home, I try to keep up with housework and still have time to play and engage with them. It’s a lot. So, one day. One day out of 364, I want to relax. I want to be spoiled. I want to get a pedicure. I want to get a baby sitter and go to my favorite restaurant. I want a cake. I want a glass of wine. I want a gift or two. Something that I’ve been eyeing but would never regularly spend the money on myself. Can I live without these things? If time and money aren’t available will I be okay without them? Of course! But if it’s possible, I want my birthday. I give all of myself to other people 364 days a year. One day for me is not an unreasonable thing to want. Frankly, everyone deserves one. Give yourself a day! And give the people that you love a day to appreciate them! Make your spouse’s birthday special. Take your girlfriend out to a birthday brunch. Be sure to send your extended family a card or gift to let them know you love and appreciate them. 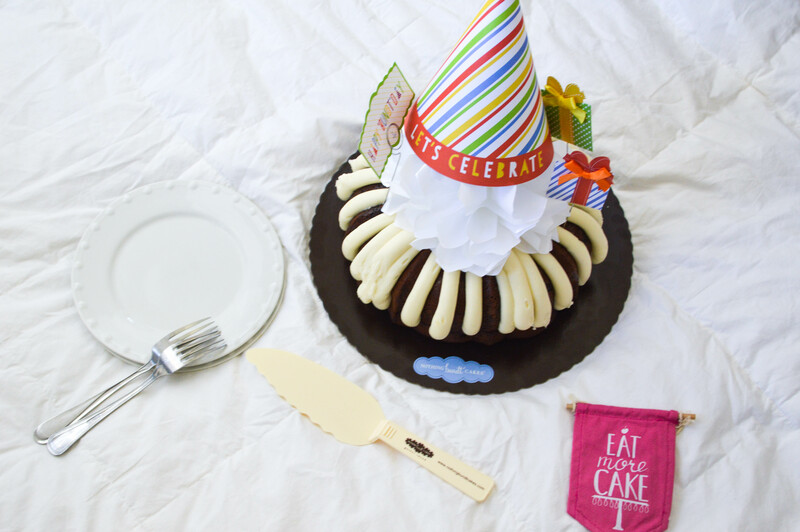 Birthdays should be a big deal, for your whole life. It’s only ONE day out of the whole YEAR. Bless your loved ones on their birthday! 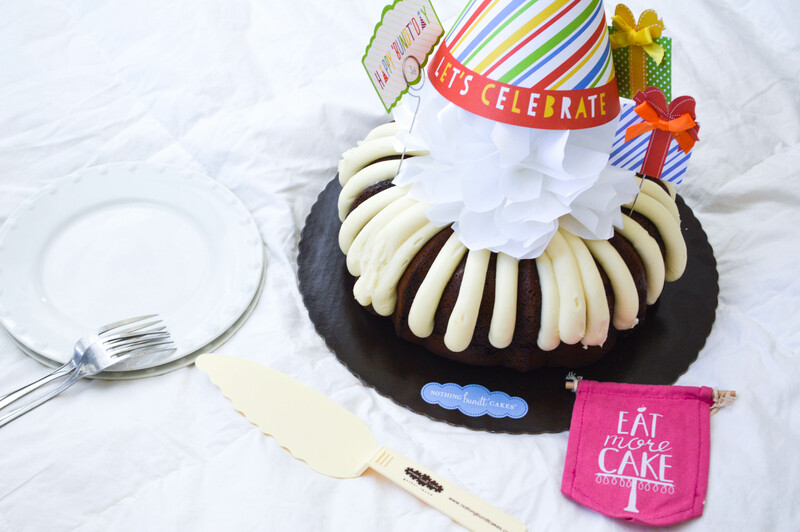 Birthdays are a day to splurge, on gifts, on food, and on desserts! 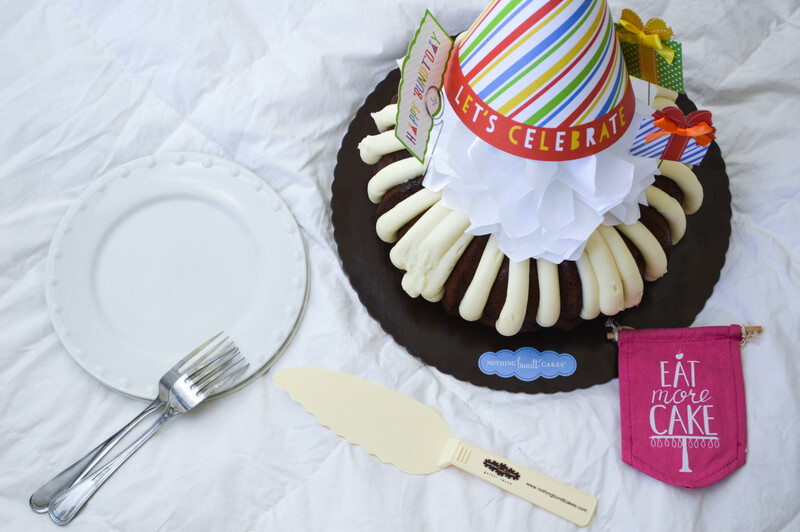 Don’t ever skimp on the birthday cake! 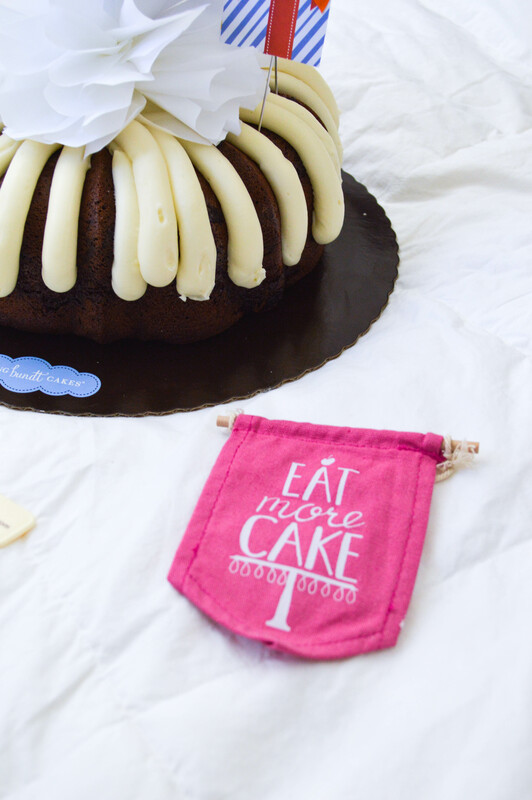 We love bundt cakes in our house and in my family. 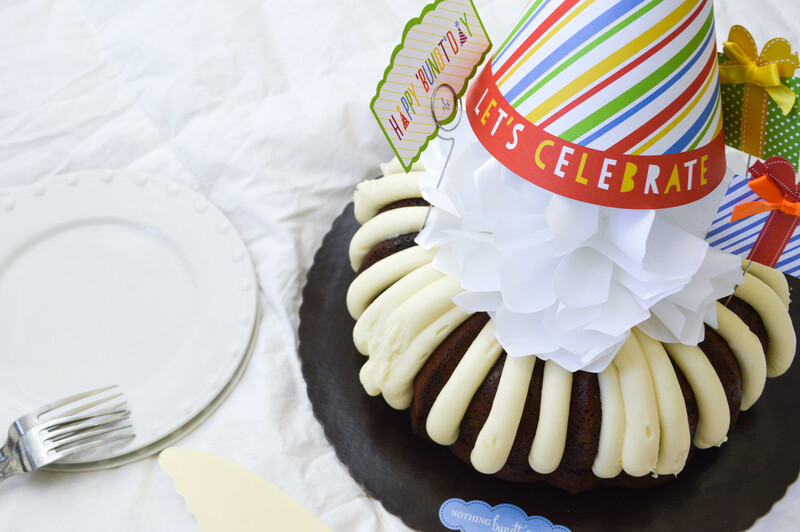 I had bundt cakes at my bridal shower, my baby shower, my birthday each year, my brother and sister in law even had bundt cakes at their wedding! The frosting is amazing, enough said. 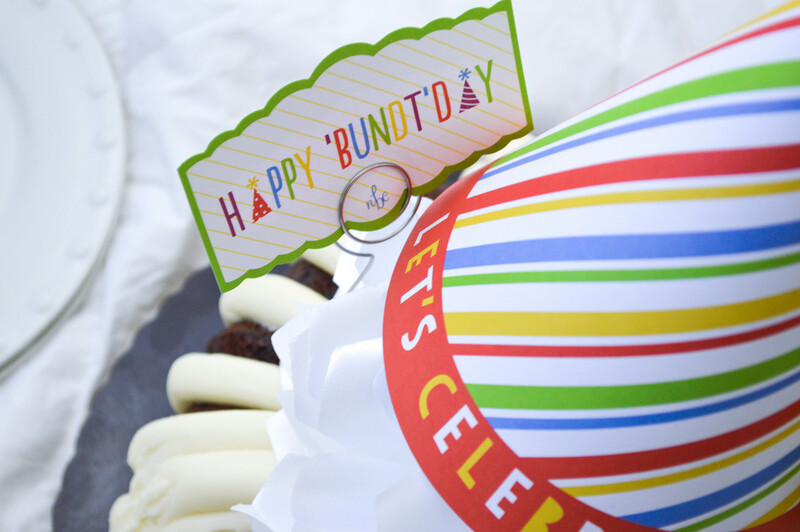 I love Nothing Bundt Cakes for all my bundt cake needs (many). They started out in the kitchen of 2 friends in Las Vegas and is now a national company with over 220 locations nationwide! 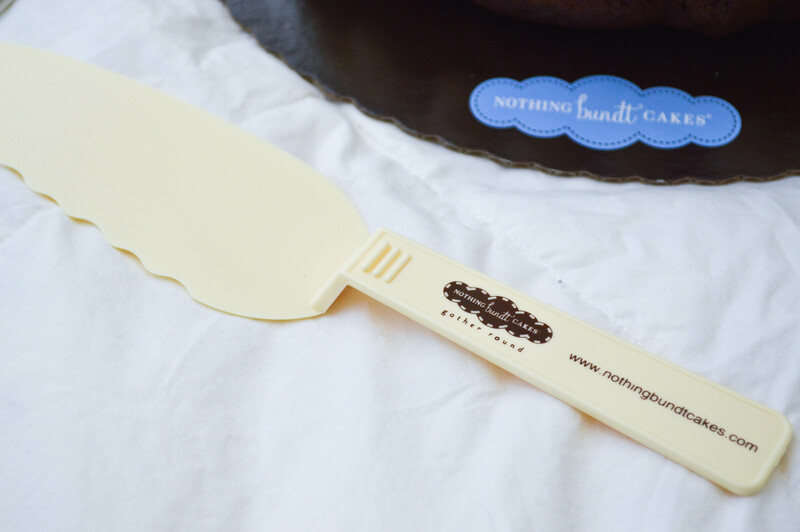 Their cakes are handcrafted in locally-owned bakeries with only the best ingredients and “crowned” by hand with their amazingly delicious signature cream cheese frosting. I would eat the frosting with a spoon, it’s amazing. 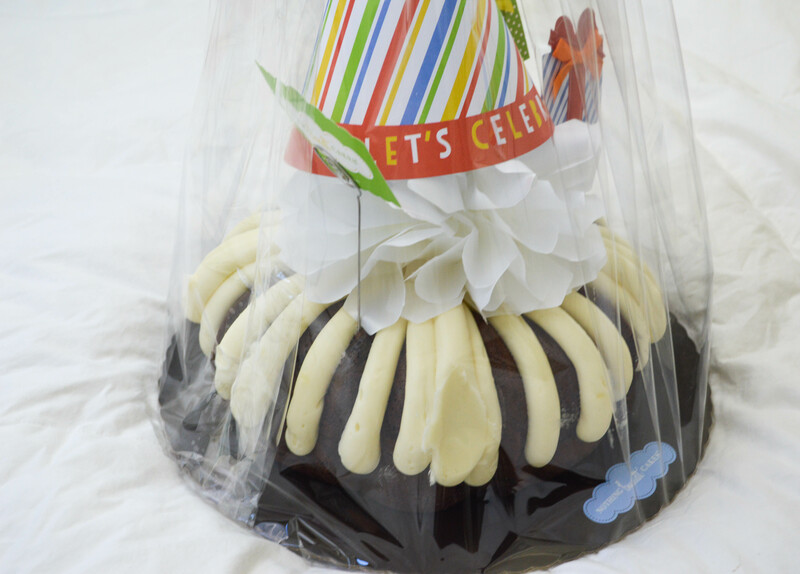 As a late birthday treat for me and an early birthday treat for my husband, we picked up a Chocolate Chocolate Chip 10″ bundt cake with the adorable “Happy Bundt’Day” decor. It was seriously beautiful and tasted, of course, amazing. There are so many yummy flavors to try like, Lemon, White Chocolate Raspberry, Red Velvet, and even Pumpkin Spice, a season flavor available ONLY until 11/30! 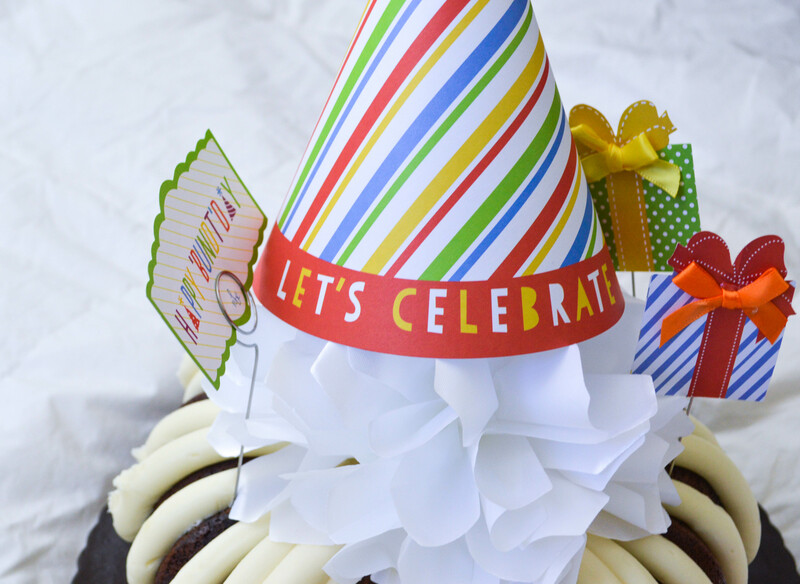 Do you make sure to celebrate your own, and your loved ones birthdays every year, regardless of age? 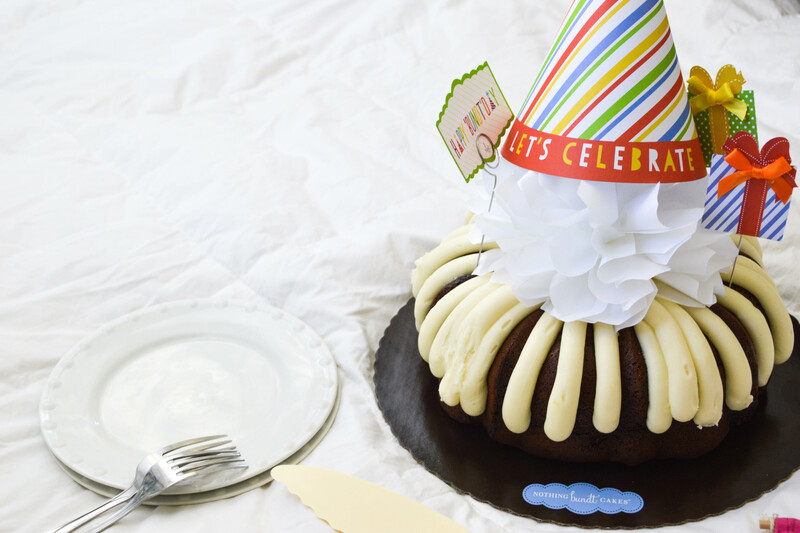 If not, treat yourself and them next year to a day of love, relaxation, and a delicious bundt from Nothing Bundt Cakes. Take at least one day of the year to love yourself! You’ll never regret that. « Hacks for a Clean Kitchen!